Never again be stuck out in the rain with this weather app. 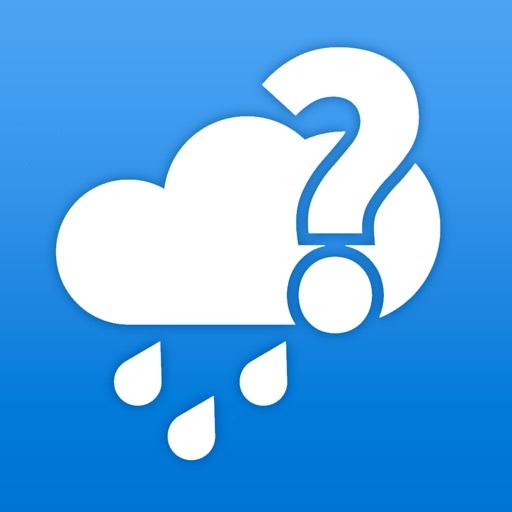 This is the perfect app for those who live in wet climates. If you don’t live in a wet climate, you probably won’t have any use for the app. It doesn’t do much outside of predicting rain. If being outdoors is part of your daily routine, give Will it Rain? a try today. It’s simple yet highly effective. If YES, this app will send you a NOTIFICATION. YOU WILL LOVE THE WAY IT WORKS. No more checking forecast for rain every day. 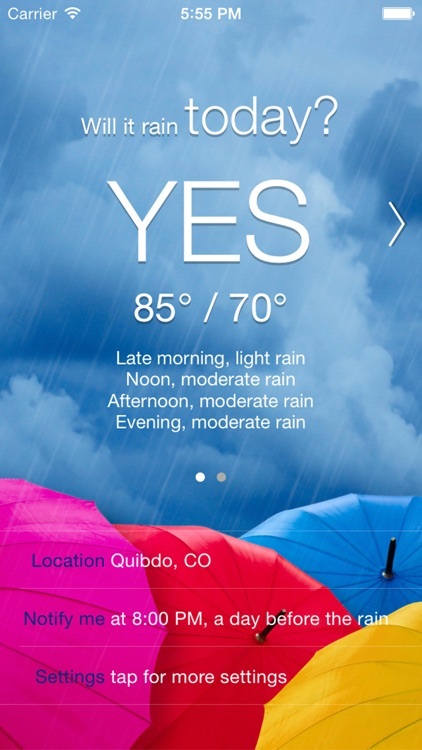 If it will be raining, this app will notify you. 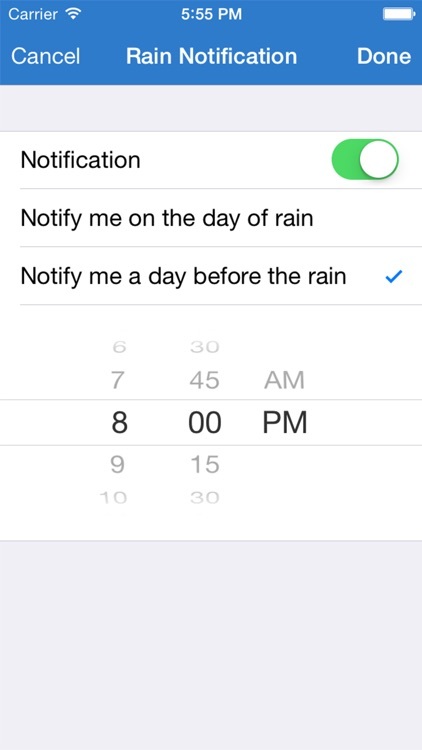 ● Get the notification a day before the rain. 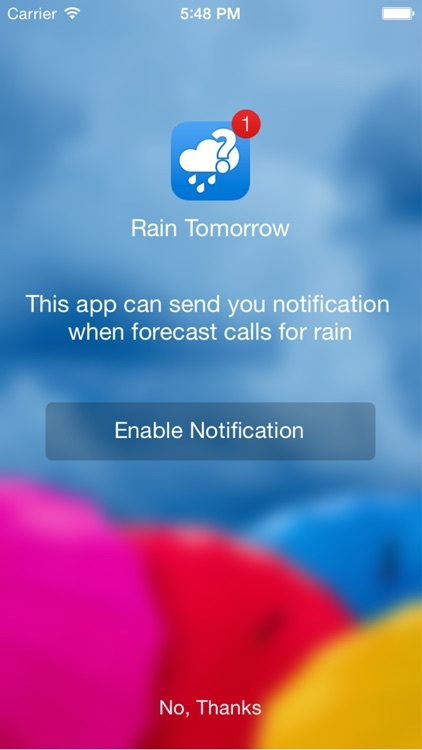 ● Get the notification on the day of rain. ● Select the time you want the notification to be at. 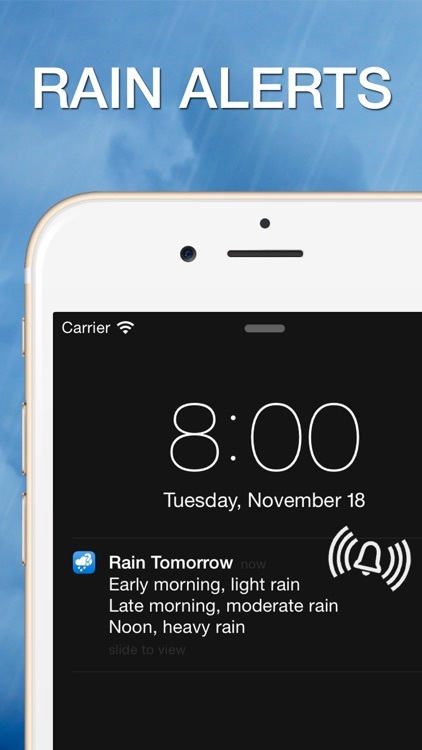 ● Rain notification includes loud & clear sound. 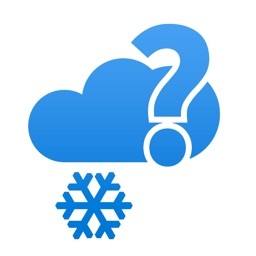 ● Simple answer to "Will it rain? ", YES or NO. ● Time of rain such as "Early Morning" or "Noon". ● Rain intensity such as "light" or "heavy" rain. ● Forecast includes high/low temperatures. Similar Apps to Will it Rain?